Dr. Gong was educated in Chinese medicine in China, and had worked in public hospitals for 10 years there. Since 1994, she has been practicing acupuncture and Chinese herbs in USA. Her clinic at New Castle, Delaware, has all kind of patients from Delaware, and near by New Jersey, Pennsylvania, and Maryland. She is available for free consultation. Services Xiaoyan Gong, Lac is an Acupuncturist or Acupuncture office in New Castle, DE. Call Gong Acupuncture & Chinese Herbs at (302) 328-6288 for a detailed description of the services offered. Acupuncturist like Xiaoyan Gong, Lac offer services that often include facial renewal acupuncture, cupping, moxibustion, Gua Sha, Zen Shiatsu, Chinese herbal formula, herbal medicine, smoking cessation and Traditional Chinese Medicine (TCM). 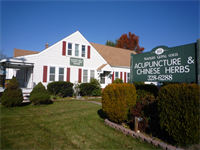 Talk to the staff at Gong Acupuncture & Chinese Herbs for information about your acupuncture needs in New Castle, DE. I call Dr. Gong my angel. As a result of seeing her, I no longer have a very embarrassing intestinal problem. She is currently working on my back and it is improving. I needed a cortisone in my thumb and she suggested letting her use acupuncture. It worked and was less painful than the cortisone shot. In addition, when visiting my eye doctor for my macular degeneration he was astonished to see that my macular degeneration had improved (he has only seen it stabilize in a few patients, never improve) and the only thing I did differently was acupuncture. I also had my yearly hearing test and my hearing improved. These are all the reasons Dr. Gong gets a 5 star rating from me; an extremely happy patient!